Yet again I am honoured to have been given a bloggers pass to VMworld US due to my vExpert work but more importantly the vBrownbag TechTalks and opening acts that the vBrownbag crew will be running in the hang space. VMworld is always an exciting conference to go to and if you haven’t yet booked your place then let me list some of the reasons I think you should attend as they are the reasons I try to attend every year. Also if you live in the US and want to do a road trip to VMworld then the vBrisket team are doing a road trip, you can see all the details here: http://www.vbrisket.com/vbrisket-bus-tour-to-vmworld-2016/. Next are the sessions. The VMworld Schedule Builder opened yesterday and within 3 hours a whole bunch were fully booked just to show the sheer interest of people to listen to some of the biggest names talking about the biggest technologies such as Duncan Epping of Yellow-Bricks.com fame talking about “A day in the life of a VSAN IO”. The sessions are always engaging and cover technical depth from beginners all the way to veterans so there is always something to learn. the sessions are also recorded so if you can’t make it to a sessions due to a conflict then by registering for VMworld you get access to all the recorded sessions after the conference for you to watch in your own time. Next reason are the hands on labs. the labs cover all technologies and not just from VMware but also partners including the EMC Federation. The labs allow you a brilliant way of working your way through using the latest solutions and technologies so if your boss is wondering what NSX is and if it will fit your companies requirements you can do several labs on it and then can not only help your company understand it’s benefits having gone to sessions around NSX but also know how to do tasks inside NSX due to the labs. Next is the solutions exchange which is firstly an amazing place to talk to all the top vendors and companies working within the virtualisation arena and secondly to maybe even win yourself a few prizes from the plethora of competitions all the stands are running constantly. I personally love walking around the solutions exchange after grabbing some food so that you can listen to all the vendors explain why their solution is the best fit for you and get in some much-needed sustenance as you will be walking A LOT at the conference. Lastly are the parties, these are normally amazing and seeing as the conference is in Las Vegas the locations are likely to be unbelievable. The parties vary in craziness so you can attend mellow drinks or full or parties in clubs it is entirely up to you. Apart from the VMUnderground party the Welcome Reception kicks off the conference experience with food, drinks, and networking in the Solutions Exchange. The always energetic Welcome Reception is a great way to reconnect with old friends, network, share ideas, and get to know our inviting community of VMware customers, experts, and partners. The parties have only just started getting announced but you can see which ones have been announced on Hans’ blog here. The VMworld party finishes off the conference on Wednesday night and is hosted at the legendary Las Vegas Motor Speedway and the band has been announced and despite what some old farts say about the band selected I can’t wait to listen to Fall Out Boy!! Hopefully i will see you at the conference and as I stated do come by the hang space and say hello, I will be wearing a vBrownbag shirt with my name and twitter handle on so I should be easy to locate and identify. Categories: Social, vBrownbag, VCDX, Virtualisation, VMware | Tags: VCDX, Virtualisation, virtualization, VMware, VMworld | Permalink. VCAP6-CMA Design Objective 1.2 – Gather and Analyze Application Requirements. What I believe is being looked for here is for you to having spoken to the stakeholders and more importantly the application owners and worked out what exactly they require for their applications and the interdependencies the applications have. Applications can be standalone and require no outside communication or could be multi-tiered and require access to the internet or a public git repository for example. Asking the right questions and fully understanding what the applications do and require will then allow you to provide what is required or if it isn’t available start making plans to make it available. Determine the requirements for a set of applications that will be included in the design. This is exactly the same as above in my opinion but now instead of just one application you need to get a holistic idea of all the applications in a multi-machine blueprint for example and all the requirements these have to work whilst also not impacting other workloads. 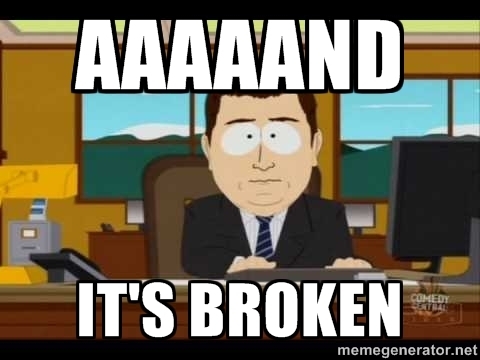 This is done by speaking to the application owners and then validating yourself as even though the application owners say they need certain things you need to validate this and ensure that they are correct and that putting it into the vRA solution doesn’t require another method of doing something. For example maybe the physical F5 load balancers can’t be used for load balancing applications deployed within the vRA solution so you either need to open firewalls to allow this or deploy maybe NSX load balancers within the environment to allow this capability. In the blueprint they recommend the Foundations and Concepts document which is good but personally I think you need to know much much more than the foundations to understand application dependencies and how they would fit within vRA. They recommend the vRealize Infrastructure Navigator User-s Guide as a study tool and this is certainly a great method of looking at existing applications and understanding heir interdependencies and what the applications are talking to. This also makes sure that the application isn’t talking to some old database server in the background that Joe Blogs setup before he got retrenched and no one has known about since. VIN is a great tool and there’s loads of free videos and resources you can use to learn about the product like this VMware YouTube video. If you disagree with anything I’ve said above then please let me know and if I agree (I’m always open to learning) then I will update the posting. Now onto objective 1.3. Categories: Automation, Certifications, VCAP, Virtualisation, VMware, vRA | Tags: CMA, VCAP, VCAP6, Virtualisation, virtualization, VMware, vRA | Permalink. 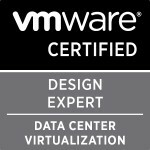 A very quick posting around the creation of my new VCAP6-CMA Design study resources page now that the beta exam has been released. As I have done in the past for the VCP5 and VCAP5-DCV exams, I have started building a list of resources I will be using for the beta and if I don’t make the mark then the GA exam for the VCAP6-CMA design. If you feel I’ve missed any resources please do let me know as these pages seem to be very popular and so everyone can benefit with top class resources. For those signed up for the beta, good luck! Categories: Certifications, vCAC, VCAP, VMware, vRA | Tags: Beta, Certifications, CMA, VCAP, VCAP6, VCDX, Virtualisation, VMware, vRA | Permalink.